If you are looking for a company to handle your Bosch appliance repair in Woodbridge, Ontario, you have come to the right place! Bosch is one of the most reliable brands on the market. However, even these appliances may run into problems from time to time. When it happens, call us for a quick and efficient Bosch home appliance repair. With years of experience in the field, the local techs are capable of tackling even the most critical failures. So don’t waste a single second and set your appointment right now! 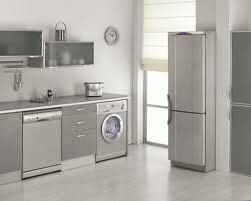 Although Bosch appliances are among the most durable ones, they still require proper attention and care. Like other appliance repair companies, we recommend you to invest in a routine inspection. Such check-ups can help you improve the performance of your appliances as well as protect them from major breakages. Whether you need Bosch washer repair, fridge maintenance or stove installation, our company has got you covered. So don’t put off a much needed service and dial our number right now. We are looking forward to assisting you with any and all types of Bosch appliance repair services!